Only complete overburden and rock drilling system on the market, the Xs T is made especially to give maximum clearance for sub-casing drilling. This 3 components system allow users to install the casing and to drill the rock portion with a bigger hammer in almost all the cases. The Xs T design has four (4) recessed portions to transfer impact directly from the driver to the crown, giving the necessary force to drill and drive down casing. The crown has a socket which fits over the casing for better welding alignment. 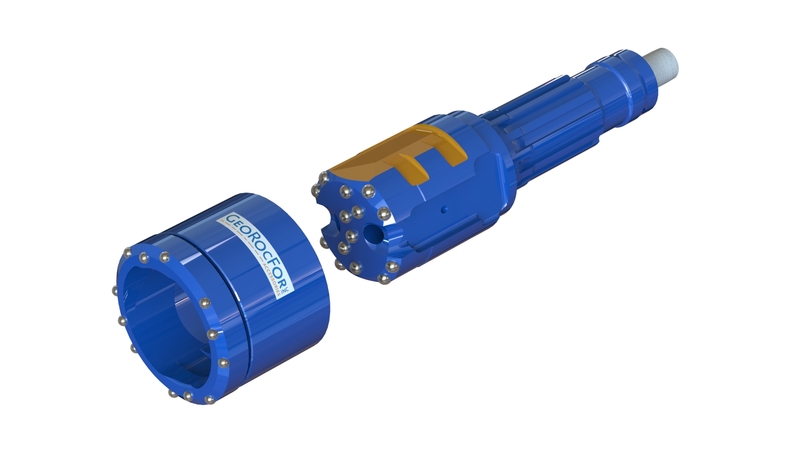 This designed allows the driller to be able to drill the same diameter in bedrock as the casing I.D. with our special square bit, and allows the use of larger DTH hammers.